Join us for a fun, craftsy and educational class instructed by our very own gifted gallery artists. Sign up for one or sign up for all of them. Just have fun! These activities are made possible by the voters of Minnesota through a grant from the voters of Minnesota through a grant from the Southeastern Minnesota Arts Council thanks to legislative appropriation from the Arts and Cultural Heritage Fund. Learn to roll consistently sized clay coils and how to use them to create your own bowl. We’ll also make a spoon so you can have a personal cereal or ice-cream bowl this summer. Pieces will be finished with lead free glaze to be food safe. Create a Container to keep your treasures from getting misplaced. We will use a combination of pinch and coil techniques to build texture and design into the walls of your piece. You glazed container will be about 5 inches tall. Students will learn the history of the 3,000 year old game of Mancala and learn to play! They will decorate their own Mancala board using paints, stamping, decoupage, and embellishments of their choosing. The class will explore contrasts in color and how one color complements another. we will make abstract paintings. These can be turned into cards, book marks or framed paintings. Students will create several original paper dolls and clothing for them using fabrics, prep-printed papers, embellishments, and their own patterns using stamping techniques and colored pencils. They will be able to decorate a unique folder to house their dolls as well. Come learn some things about the world of photography. Learn about exposure, lighting and close ups of bugs and flowers “Macro Photography” and how to “freeze” or slow down flowing water. How to shoot in manual, instead of letting the camera do the work for you. You might get a little dirty depending on the perspective you are going for. You will need a camera, point and shoot or a DSLR, cell phones are okay, but a camera is better. the main thing is to have fun, don’t worry if it’s not so great a shot, but learn from your mistakes, it’s what makes a good photographer better. I’m still learning. we will look at some old fashioned cameras as well that use “Film”. What Grandma and Grandpa use to use. We will also print your “best shots” and make a card or two to take home for yourself or to give as a gift. Students will design a 2″X3″ foam board wall hanging using, paint fabric, music sheets, stencils and cut out designs, words and other treasures. If time allows we will design a smaller collage with dried leaves. Illustrators will explore the basic principles of cartooning from simplification, line and exaggeration ending with the creation of one panel gag cartoon. Students will design and paint a chair using a sunflower or a dragon as the main topic. This class we will explore many ideas using many ideas using many different components to make jewelry. Beads, leather, wood beans and much more will be used. we will also design and make pendants or charms with shrink plastic and polymer clay. It will be a fun filled class and students will take at least 3-4 projects home. During the camp students will learn how to leave a small mug rug, create a 3D animal out of wool rowing. We further will do some other needle felting and learn about the history of weaving and needle felting and knitting. 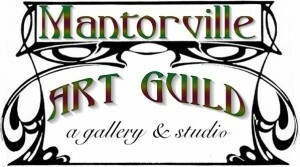 In this class we will cover many mediums, watercolor, colored pencil, acrylic, and more. We will be studying two famous artists. Grant Woods and Georgia Okeefe. We will then adapt our own style after learning about them. Students will learn the art of floral design. They will create several pieces using many natural items including driftwood, stones, grapevines and dried stems. They will use silk and plastic greens and flowers.